If you’re planning a ‘grand design’ for your new or existing Weybridge home or commercial premises, you may be wondering whether it’s a good idea to include a flat roof. Flat roofs can be ideal on parts of a building such as a conservatory, garage, porch or above bay windows, but they are commonly viewed as being prone to leakage and needing frequent repairs. 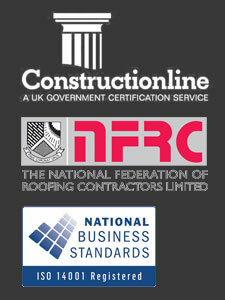 This is where your local Weybridge GRP roofer may be able to help. A GRP roofer can take away the worries about flat roofs, while also providing a versatile solution that can give you a completely bespoke roof on your Weybridge property. Whether you want a clean, modern designer look, or a roof that will blend in effortlessly with a listed or historic building, your Weybridge GRP roofer can provide the ideal solution. GRP can cover any shape or size, and can work in even the most awkward spaces. Your roofer may even be able to deliver architectural features such as GRP columns, GRP cupolas, GRP domes and much more. GRP really is a versatile material that can look ultra-modern or blend perfectly with existing historic features. Add to this the removal of worry about maintenance and repairs over the years, and it could be a perfect solution for your Weybridge property. For more information about GRP roofing and the benefits it could bring you, contact a Weybridge GRP roofer today.